Guess who featured on the August edition of one of Africa’s top business magazines “The Entrepreneur Africa Magazine”. Its veteran Nigerian rapper, Michael Stephens. From Music To Business,Michael Stephens popularly referred to as Ruggedman looked all executive on the cover of the August 2017 Edition of The Magazine. The Entrepreneur Africa got the pioneer musician to share his story of transformation from a core rap artist to a businessman. He also took out time to clear some of the controversies that have trailed him over the years. 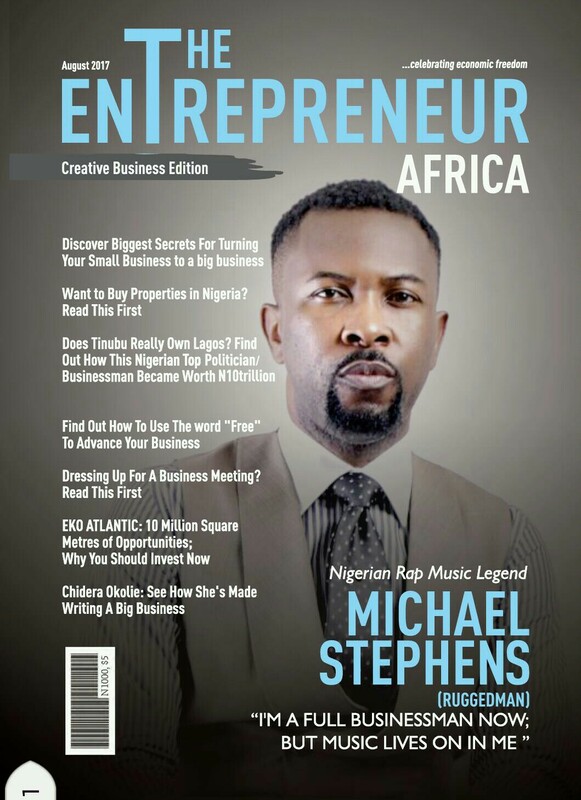 0 Response to "Ruggedman all executive on the Cover of The Entrepreneur Africa Magazine"